How much is Brian Aubert Worth? Brian Aubert net worth: Brian Aubert is an American singer and musician who has a net worth of $8 million. 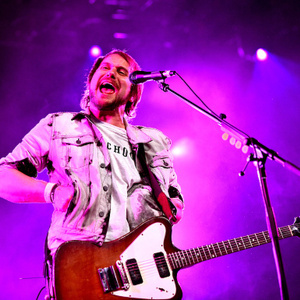 Brian Aubert is best known for being a vocalist and guitarist for the rock band Silversun Pickups. The band formed in 2002 and released their debut studio album Carnavas in 2006 which reached #5 on the US Independent chart. Silversun Pickups released the album Swoon in 2009 which reached #1 on the US Independent chart and #7 on the Billboard 200 chart. Their album Neck of the Woods was released in 2012 and also reached #1 on the US Independent chart and #6 on the Billboard 200. Their album Better Nature was released in 2015 and reached #2 on the US Independent chart. Silversun Pickups have had success with the single "Lazy Eye" and their single "Panic Switch" reached #1 on the US Alternative chart. Their other popular singles include "The Royal We", "Bloody Mary (Nerve Endings)", and "The Pit".